With global warming constantly in the news and the world’s energy consumption rising, the U.S. Department of Energy (DOE) proposed new energy efficiency regulations in 2015 for commercial HVAC systems in America. The American Council for an Energy-Efficient Economy (ACEEE) reports that the new standards will cut commercial energy usage for rooftop systems by as much as 30%. Rooftop air conditioners are typically used in low-rise buildings like schools, restaurants, big-box stores and small office buildings. Currently, about 50% of commercial space in the U.S. is cooled by rooftop air conditioning systems. The new energy standards apply to heating and air conditioning equipment installed in small to very-large commercial buildings. Under the Energy Policy and Conservation Act of 1975 (EPCA), the DOE has a requirement to review the standards for this type of equipment once every six years. The proposed energy efficiency standards are based on the integrated energy efficiency ratio (IEER) and the coefficient of performance (COP) for air-cooled commercial unitary heat pumps. Aspiring HVAC technicians enrolled in an HVAC training program ought to be familiar with these standards upon entering the industry. The ACEEE also notes that implementing these new standards would result in significant savings for businesses. 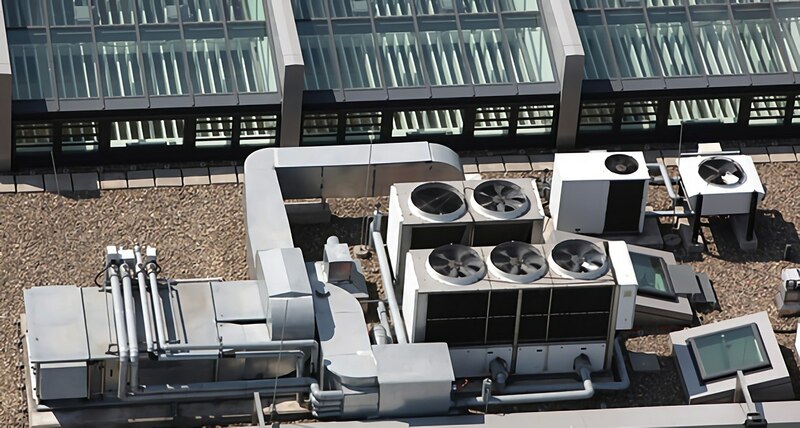 Over a typical 30-year life for an HVAC rooftop system, the DOE estimates the savings for commercial properties to be $16 billion to $50 billion. The new standards will reduce U.S. electrical energy consumption by over 1.3 trillion kilowatt-hours, which is equal to the amount needed to cool all commercial buildings in this country for seven years. In addition, the DOE also expects that building owners and/or tenants will save somewhere between $3,500 and $16,500 for every rooftop air conditioning unit upon implementing the new energy efficiency standards. This could be especially remarkable given the fact that many buildings have dozens of these rooftop units. The responses from HVACR contractors to the new standards are interesting. Emerson did a study in fall 2014, which found that many industry professionals had no awareness of the new regulations. Of those that were aware of the new regulations, 26% thought it would negatively impact their business, 31% thought it would have no impact at all on their business, 38% saw the changes as an up-sell opportunity to increase business and 5% had no opinion. The fact that more than one-third of HVACR contractors who participated in the study see the new regulations as a business-increasing opportunity is good news for those enrolled in HVACR training program at RSI, as new or current students will have the chance to familiarize themselves with these new standards before entering the HVACR job market. Moreover, anyone enrolled in trade school for HVAC will receive training for the new energy efficiency standards, making him or her a valuable asset to any company in the industry. The ACEEE notes that there is already equipment on the market that reaches an IEER level of 21, so manufacturers are quite capable of producing equipment that meets the new standards in the range of 12.3 IEER to 14.8 IEER, depending on size. President Obama set a goal to reduce CO2 emissions by three billion metric tons by 2030, and the new standards are expected to help achieve that goal.